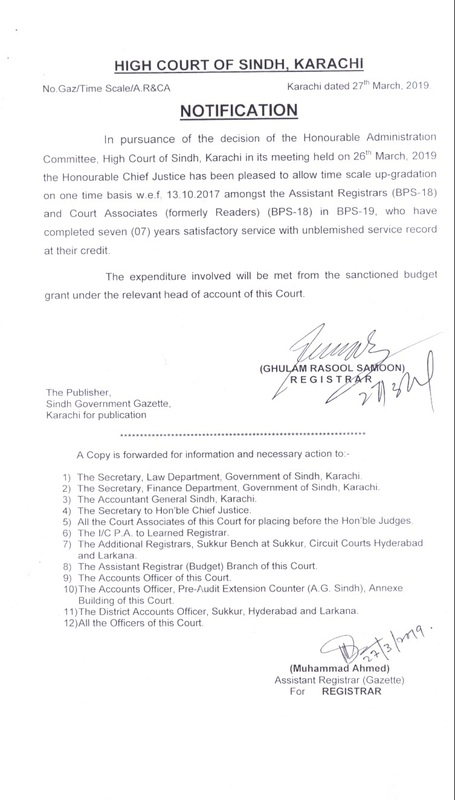 Practice as an Advocate of Subordinate Courts with effect from 7th July 1999 till 12th August 2001. 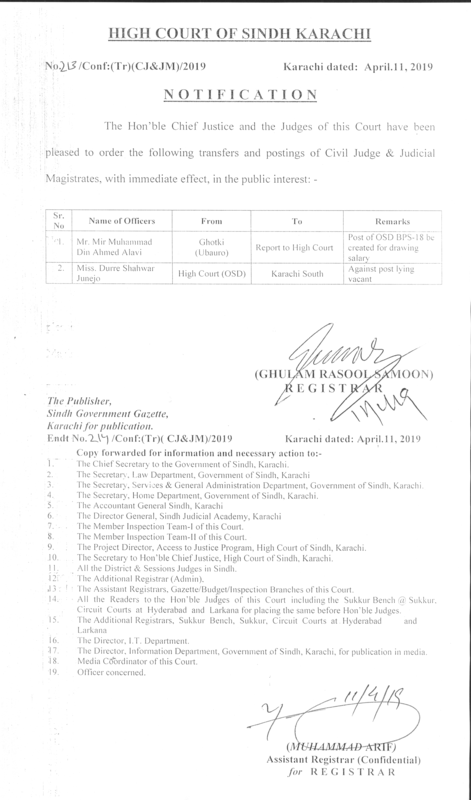 Practice as an Advocate of High Court with effect from 13th August 2001 till 09.07.2008, during this period appeared before the Hon’ble High Court of Sindh in hundreds of cases as a Private Counsel. 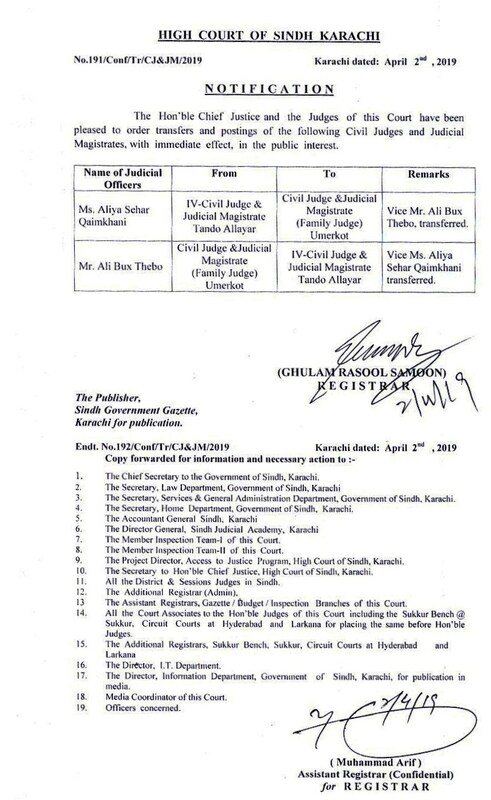 Appointed as Assistant Advocate General, Sindh on 10th July, 2008. 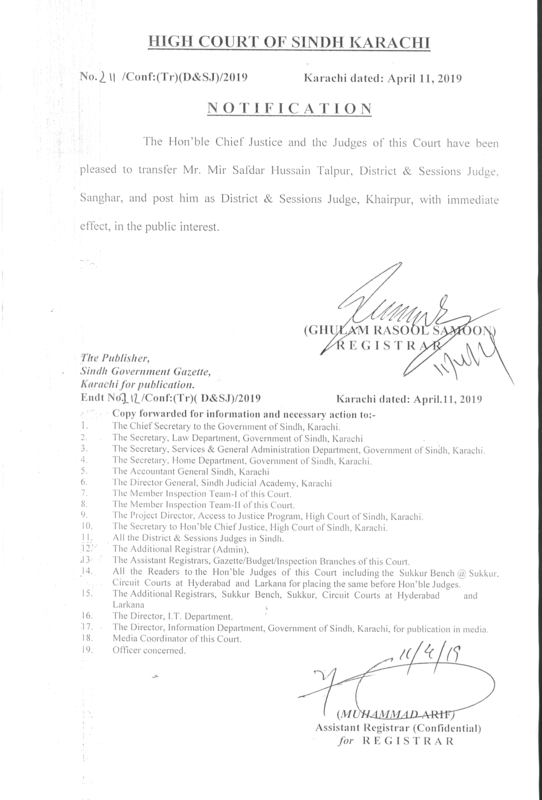 Represented the Government of Sindh with effect from 10th July 2008 regularly in different types of cases that is criminal matters/service matters/Constitution Petitions/Original and Appellate side matters/Revenue and other miscellaneous matters before the Hon’ble High Court of Sindh. 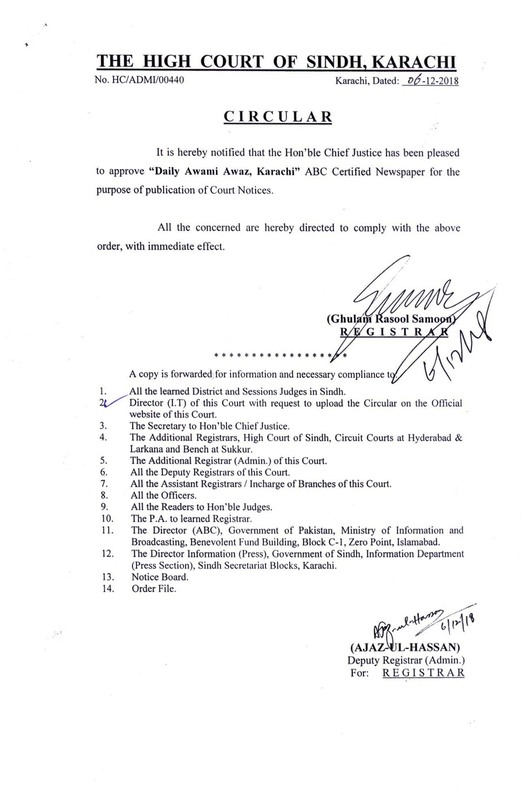 Appointed as Additional Advocate General, Sindh on 30th August, 2013. 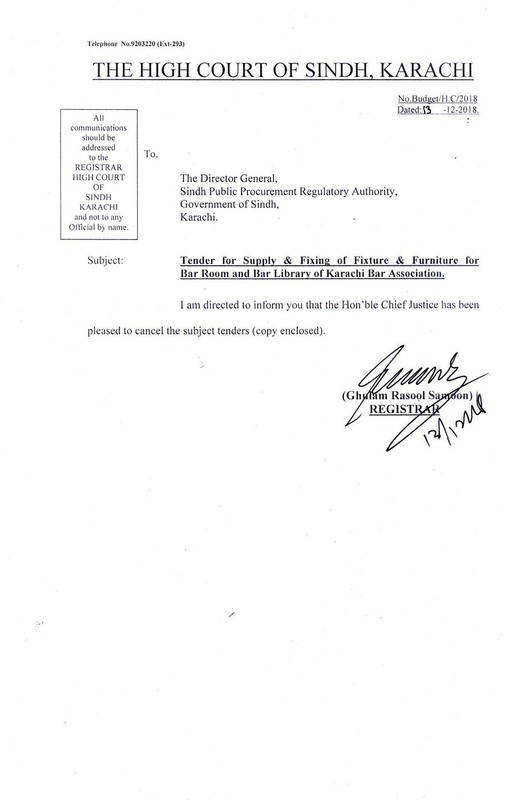 Practice as an Advocate of Supreme Court of Pakistan with effect from 15.11.2012. 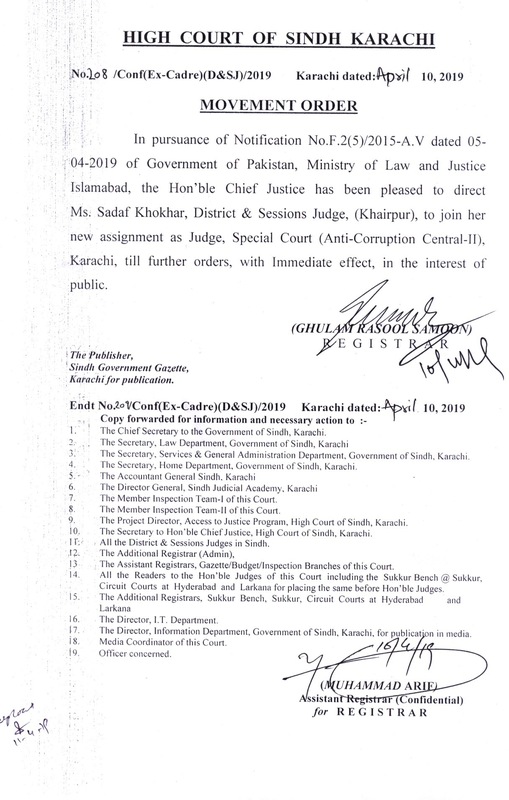 Appeared before Hon’ble Supreme Court of Pakistan regularly in Govt. 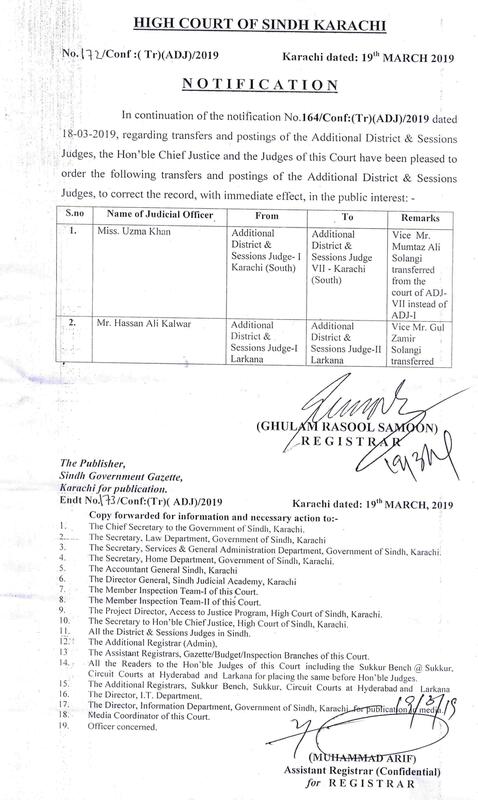 of Sindh cases as an Assistant Advocate General, Sindh and Additional Advocate General, Sindh respectively in Civil Petitions for Leave to Appeal, Civil Appeals, Constitutional Petitions, HRCs, Suo-Moto Cases and other Misc. Applications/matters. 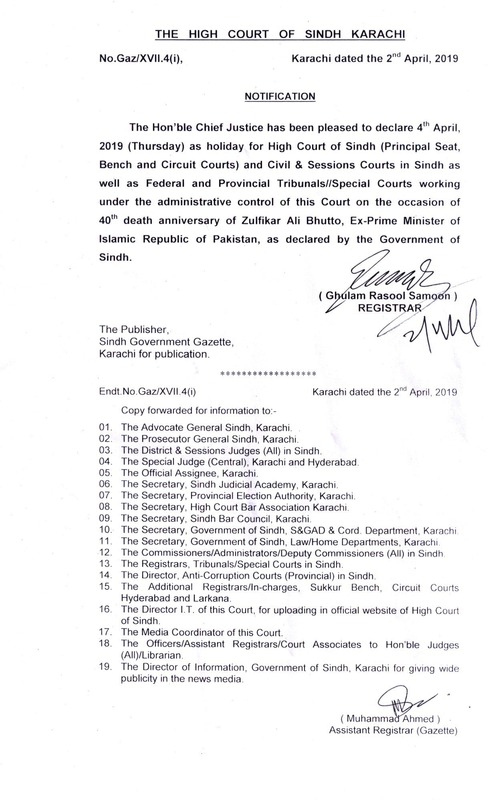 Have various reported and unreported cases published in different Law Journals of Pakistan. 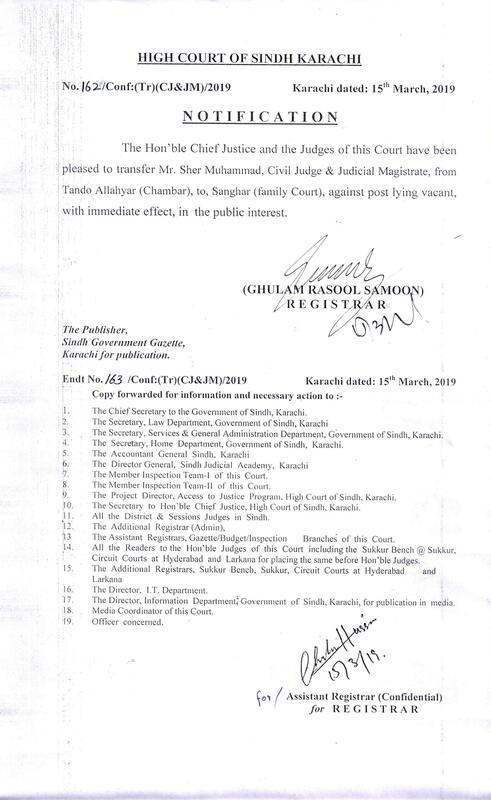 List of few important cases are enclosed herewith. 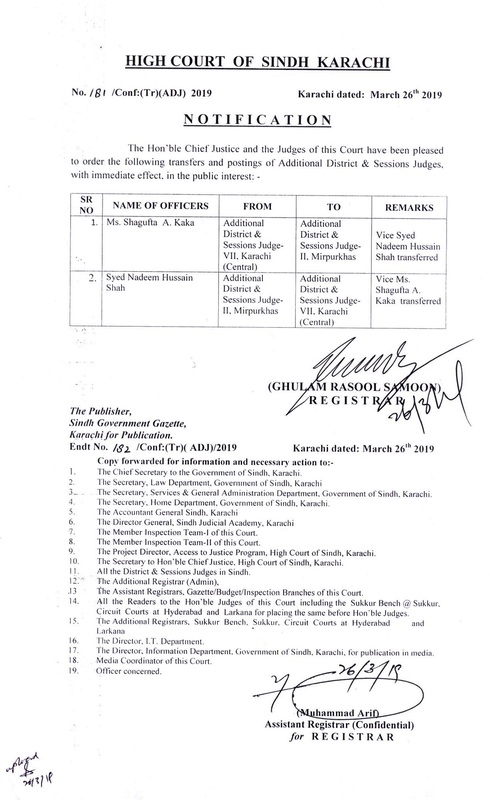 Elevated to the Sindh High Court as an Additional Judge on 30.11.2016. Thereafter took oath as Judge of this court on 30.11.2017.